Charles Sellner instructing students during his "What Makes a Hero?" workshop. Adults, children, hotel employees, and their unsuspecting guests geeked out with us at the first ever Columbia Comic Con. This first time event was incredibly impressive, well received by artists, vendors, and the community at large. We also had the pleasure of unveiling new artists and workshops that went over well in this small community driven convention. Art Way Alliance was proud to unveil a partnership with Visionary Comics. These programming supporters showcased an impressive display of amazing artwork and comic books. Charles Sellner, who is the Co-Founder, Co-Chief Executive Officer, Chief Creative Officer, Writer, and Artist of burgeoning company, was kind enough to run an original workshop called "Be Your Own Superhero." Young and old students packed the room and pondered over the questions that Sellner posed to them. "What makes a hero?" and "Why do they do what they do?" led to intense debate. Before creating their own superhero, students were asked to test out their own heroic critical thinking skills by making a bridge with only three sheets of paper. Everyone enjoyed this little exercises and used what they learned to create heroes that worked hard to overcome adversity. 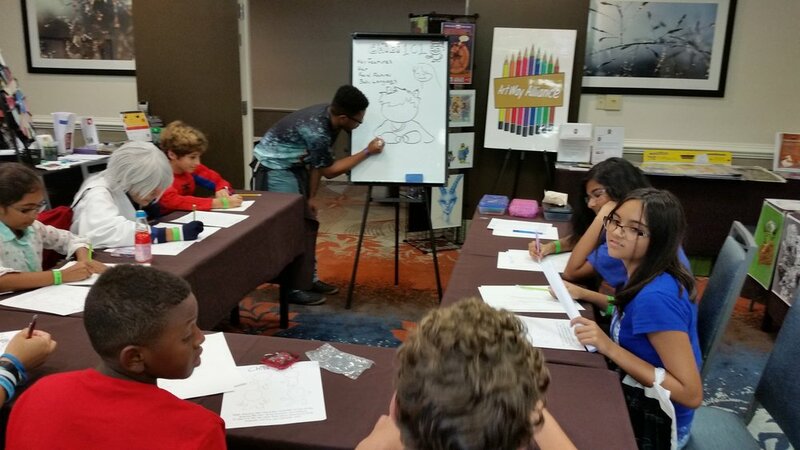 We also had newcomer Dennis Johnson unveil an even newer workshop, "The Art of Drawing Chibi." 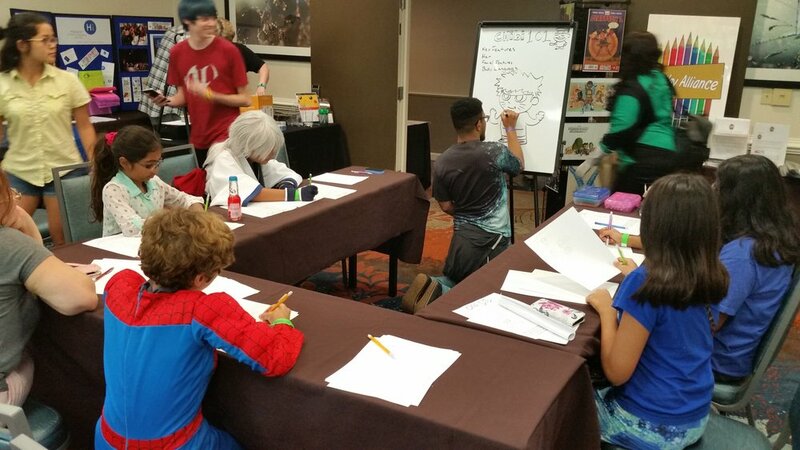 Concentrating on body language and key features, Johnson showed people of all ages how to condense their favorite characters into small bite sized drawings. "It was my first time teaching, but I was very nervous, but it turned out to be really good. At least good sets of kids came in [...] and at the end, the kids were very pleased with their work." Johnson said. Johnson went above and beyond when instructing participants how to redesign these characters. He performed different facial expressions, body gestures, and motions that were eventually drawn on the template provided for them. This day of firsts went well for everyone, and we hope that Columbia Comic-Con becomes an annual staples in the community. Thank you to Galactic Con for putting creating this amazing event and thank you to all the participants for all that you do.